Last week, the Punjab Assembly unanimously passed a bill within five minutes which increased the salaries of the chief minister, speaker, deputy speaker, MNAs and MPAs to an incredible extent. According to the details of this bill, the speaker’s monthly salary was increased from Rs37,000 to Rs200,000, while his deputy would receive Rs185,000 instead of Rs35,000. The MPAs, who used to earn Rs18,000, would earn Rs80,000 every month. CM Buzdar’s own salary was increased by Rs59,000. After the matter was taken up by social media, Imran expressed his sheer disappointment and termed the decision ‘untenable’. The Federal Minister for Information Fawad Chaudhry also labelled the development a ‘sham exercise’. 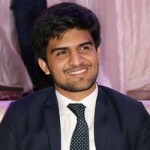 Although Punjab Chief Minister Usman Buzdar was advised to revise the bill and has subsequently relinquished the perks he gave himself and other lawmakers, it remains important to analyse some keys points as the raise itself remains on the table, as long as it stays within the limits of the austerity drive. Thus, in present-day Pakistan, the chief minister of the most populous province is all set to receive a higher salary than the prime minster of the country. This sudden increase in the salaries of legislators by the Punjab Assembly has led to some serious questions regarding who decides how much elected leaders get paid. I can divide these questions into two portions: system level complexities, and a thoughtless model of governance. In the first part, it is important to ask: what is the mechanism of increasing or decreasing the salaries of lawmakers in Pakistan? Who decides what, and what are the legal justifications for certain provisions of law? What are the global practices in this regard? The second part of this piece questions Imran’s austerity drive. What happened to it? When the premier’s own team cannot practice it, who can? Whether this outrage by the government itself is out of political compulsion due to increased public pressure or a genuine remorseful expression of disappointment by Imran’s administration is not of much importance. The most important question is why it happened in the first place. As a matter of fact, in both Pakistan and India, there is no transparent and independent watchdog to monitor salaries of lawmakers. In India, the Supreme Court recently termed the question of who has the authority to increase lawmakers’ salaries as a ‘moral and ethical’ issue. It is a moment of shame for a democracy where the salary of lawmakers is proposed to be increased by the very same individuals who would be its direct beneficiaries. There is a debate going on in India to make the process democratic and independent of lawmakers so that there remains no conflict of interest. Unfortunately in Pakistan, there is no fixed criteria nor any national-level debate to determine the salaries of lawmakers in the national or provincial assemblies. There is no justification required to increase the salary – it is solely up to those who are to receive it. Contrary to what is happening in South Asia, there are certain principles in other countries to determine or increase the salaries of lawmakers. It is pertinent to mention the different regulatory bodies that exist to keep the process of lawmakers’ pay fair and transparent. The United Kingdom has the Independent Parliamentary Standards Authority, Australia has the Remuneration Tribunal, South Africa has an autonomous body called the Independent Commission for the Remuneration of Public Office Bearers, and even Bhutan has an independent body. Interestingly, in the United States of America, salaries are revised on annual basis so lawmakers may maintain a reasonable lifestyle. Furthermore, Prime Minister Imran initiated an austerity drive to save taxpayer money. It was an interesting symbolic move by the premier, but the real problem was always in its practical implementation. Official protocols, security concerns and personal choices did not allow the campaign to gain momentum in the country. In its earliest days, many cool-headed analysts advised Imran to not leave the official residence and abolish the governor houses. Considering himself the repository of infallible wisdom, he refuted everyone. However, the recent visit of Saudi Crown Prince Muhammad bin Salman exposed the fragility of Imran’s vision. Similarly, a bill which has been passed by the Punjab Assembly – where his own party takes the lead – considerably demonstrates the fact that his team members are also not willing to follow the austerity drive he has initiated. Thus, Imran needs to change his priorities. He needs to focus on the genuine grievances of people rather than wasting time on publicity-oriented projects. It is time for Imran to turn his promised tabdeeli into a concrete reality. In principle, there are many questions this instance should force Imran to pay heed to. How would he go about forming an independent commission to determine the salaries of lawmakers? What would be some innovative ideas to upgrade Pakistan’s economy? How would change be institutionalised in Punjab? Can Punjab’s police even be de-politicised now? What is CM Buzdar doing? Who is really in charge of the province? Most importantly, should Buzdar continue to sit in the driving seat? 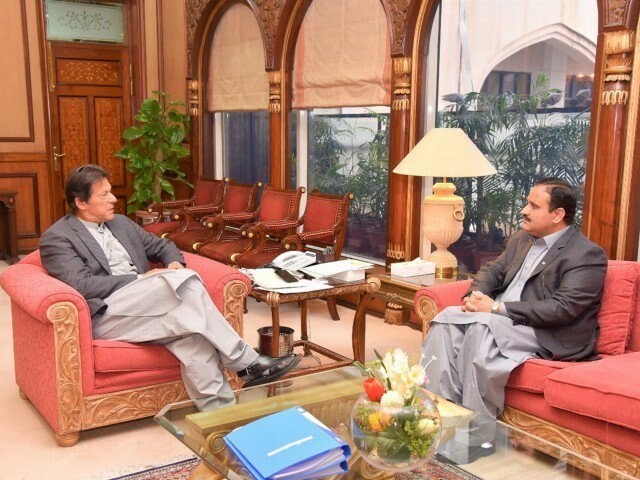 Has Usman Buzdar's inefficiency murdered Imran Khan’s vision of Naya Pakistan?